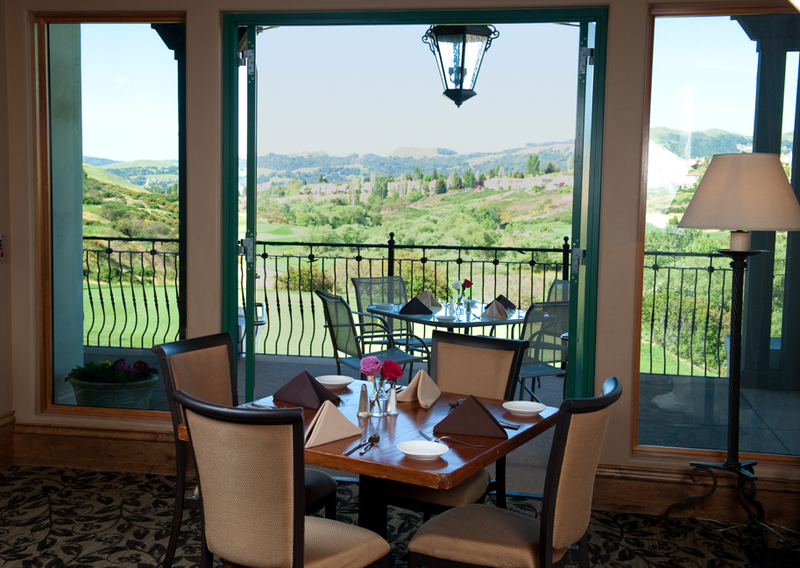 The View Restaurant at The Bridges Golf Club overlooks the beautiful rolling hills and valley of San Ramon. The Mediterranean style architecture invites you to enjoy a business / casual lunch in our dining room or a relaxed weekend brunch on our balcony. 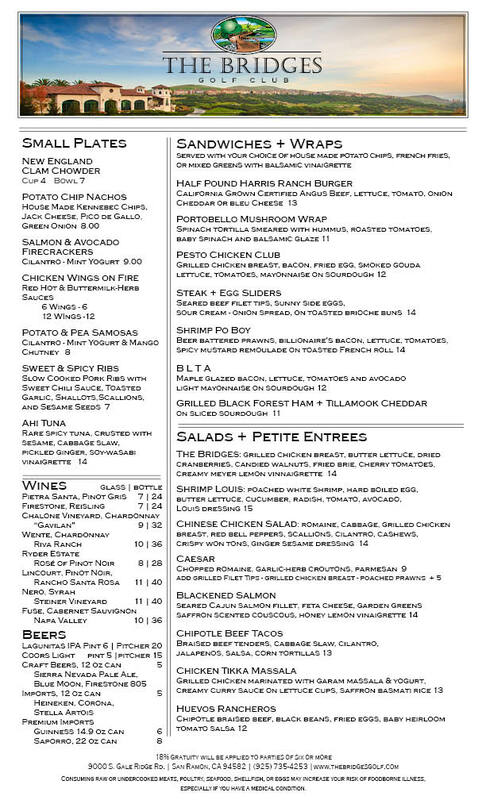 Contemporary California cuisine along with daily features are available daily. Come enjoy The View !! 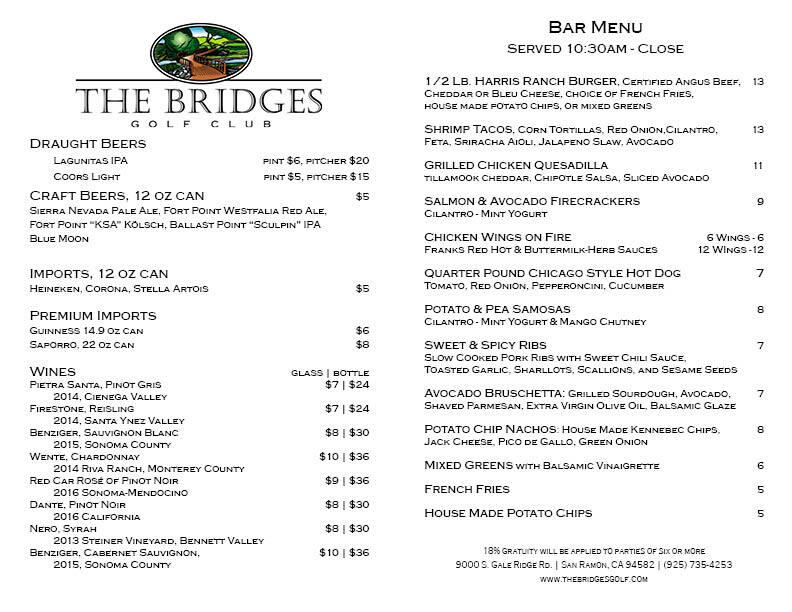 Please call 925.735.4253 to check daily restaurant hours. Reservations are suggested for parties of six or more.